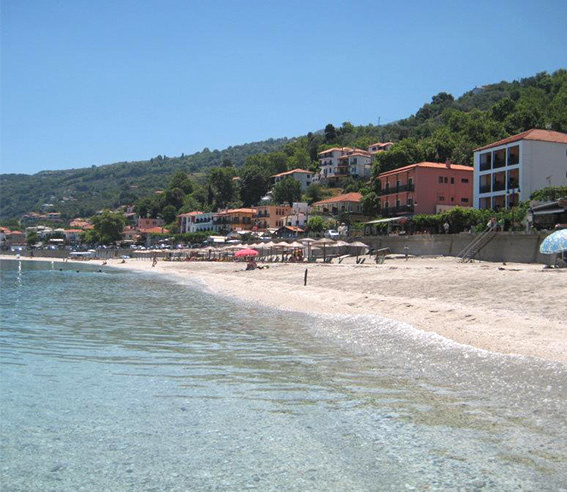 A cosmopolitan resort of East Pelion, built on a unique beach. A beautiful settlement which gets lost inside the deep green of Pelion. Surrounded by two beaches which are of great beauty, Papa Nero and Plaka, it attracts thousands of visitors. A beautiful beach with crystal clear waters and lush vegetation that reaches the edge of the beach. It is next to Agios Ioannis village. It is considered to be one of the most beautiful beaches of Greece and not only. Fully organized (this is where Camping Papa Nero is located), it is linked with Agios Ioannis through a unique pedestrianize street. A traditional village with the highest altitude of all the villages located in East Pelion, uniquely graphic, sunken into the calm and wild vegetation of a beautiful landscape. Whoever visits Kissos, is not only surprised from its beauty but also from the premium services of the village. 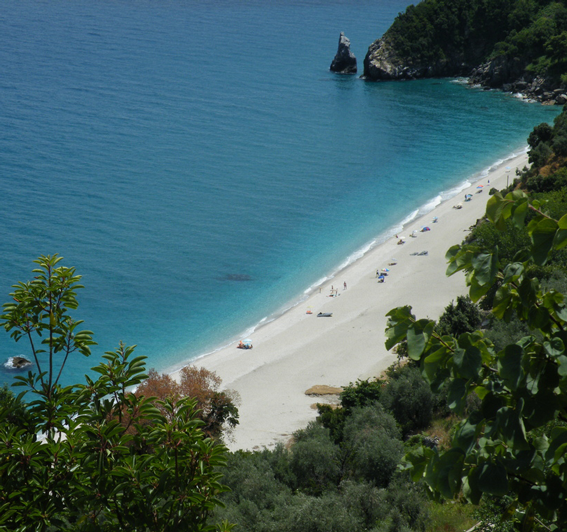 A boundless beach, magical, green and blue waters, clear as crystal, a beach with golden sand and the lush vegetation of Pelion reaches the sea. 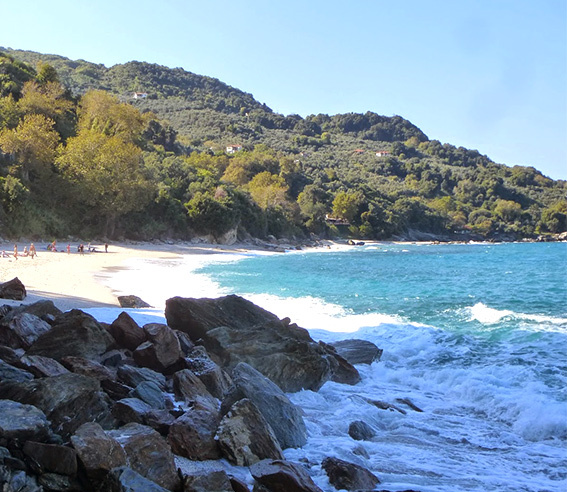 The most known village of Pelion achieves the ultimate combination of mountain and sea. It is built at a verdant slope, it offers a unique view of the Aegean and it is surrounded by beautiful beaches, bays and small gulfs. One of the most renowned beaches in Greece, it has been photographed for many international magazines. A double beach which is separated by a huge rock with a hole. The beach is covered with pebbles and it is easily reachable. Damouchari is a small, graphic and quiet settlement, consisting of two small gulfs which are linked. A beautiful beach with large white pebbles and clear waters. Worldwide known from the filming of “ Mama Mia ’’. In conjunction with the neighboring gorge, Damouchari has a wild beauty. It is the beach that one has to visit in order to admire the wild but beautiful landscape. The craggy rocks and the beach with the aquamarine waters will excite you. In order to reach the beach a 10 minute walk is needed. As you descend to the beach you will discover an incredible chapel inside a rock, which is the chapel of Panagia. (The mother of God).